﻿ Riad Lila Marrakech. JIMAT di Agoda.com! Ada soalan mengenai Riad Lila? Dengan lokasi mudah di Marrakech, Riad Lila adalah tempat yang hebat untuk menjelajahi bandar yang menarik ini. Dari sini, tetamu boleh menikmati akses mudah kepada semua yang bandar meriah ini boleh tawarkan. Pelawat yang datang ke hotel boleh melawat tarikan utama di bandar ini seperti: Yassine art & craft, Herboristerie la Sagesse, Beldi Weave. Riad Lila juga menawarkan banyak kemudahan untuk memperkayakan penginapan anda di Marrakech. Hotel ini menawarkan khidmat bilik 24 jam, Wi-Fi percuma semua bilik, meja depan 24 jam, daftar masuk/daftar keluar ekspres, simpanan bagasi untuk memastikan tetamu menikmati keselesaan yang terbaik. Hotel-hotel telah direka demi keselesaan dan memudahkan tetamu. Sebahagian bilik menyediakan ruang tamu asing, televisyen skrin rata, internet wayarles, kolam renang peribadi, internet wayarles (percuma). Kemudahan rekreasi hotel, yang termasuk seperti tab panas, kolam renang terbuka, spa, rumah urut, bilik wap direka untuk anda melarikan diri dari masalah dan bersantai. Apabila anda mencari penginapan yang selesa dan mudah di Marrakech, ijadikan Riad Lila sebagai rumah anda seperti berada di rumah sebenar. 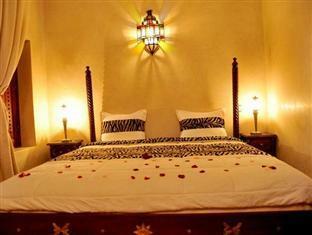 Nice rooms, friendly staff and a very beautiful Riad. 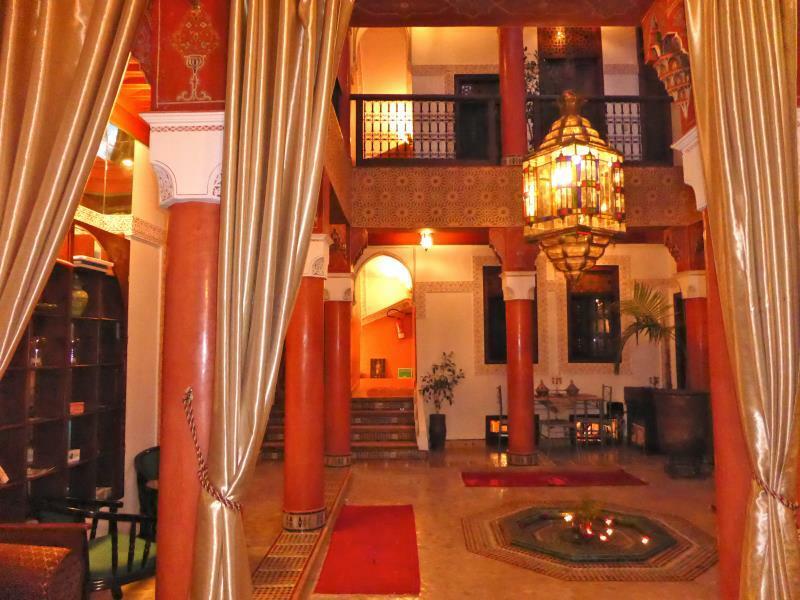 Beautiful Riad in a slightly hidden but fantastically central location. Very peaceful. 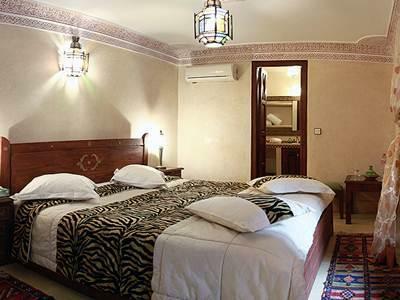 Bedrooms are a great size compared to a lot of the other Riads we’ve looked at. Staff very pleasant and helpful although spoke very little english so a bit of a language barrier. We had to stay our first night in a different Riad as there was a double booking issue, which was a shame as when we arrived at Riad Lila we were sad we missed that extra night we’d paid for there! But overall a great stay and we highly recommend it as a location. My friend and I stayed at Riad Lila for one night. We arrived in Marrakech in the early evening time. Our driver tried calling the hotel numerous times so that we could be met, but no one answered the phone. We got lost trying to find the hotel because it is down a very small windy street that only a local would have known to go down as there are no signs anywhere indicating where we needed to go. When we tried calling to get help finding the place, there was no response. When we finally did find the hotel, the staff gave us a very cold greeting as if we were unexpected and unwelcome. When we explained that we tried calling, the response was simply that the phones must not be working, with a shrug of the shoulders. (This was not a good way to start the stay.) I will say that the hotel itself is beautiful and, once you know where it is, the general location in the city is great because it is in a very busy place with many attractions around it. The place is really nice! Totally worth the money that you paid for. The rooms were cleaned everyday and they were very spacious. Great staff as well! A poorly maintained, noisy, grubby and badly managed property, which might have been good once, but is rubbish now. Our original room was too small for 2 people to be in at the same time. A single traveller swapped with us, but the air con did not work. We spent 3 nights sweating in the Moroccan summer. When she attended the riad the manager couldn't care less - no repairs, no room change and no compensation. Breakfast consisted of 1 boiled egg each and cheap breads from the souk stall next door. We won't be returning. 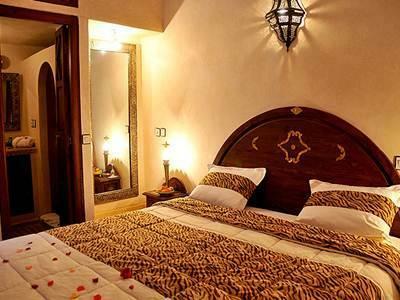 The Riad Lila is comfortable and in an excellent location in the heart of Marrakech's medina. It evokes a lost era of ancient Arabian guest houses, yet has modern amenities like wifi, spacious bathrooms, and bathrobes. The staff is exceptionally friendly and welcoming as well. They were accommodating in providing a late breakfast and were thorough in cleaning my room. The only drawback for me was the tightness of the main room--the queen-size bed left little room to move around. Regardless, I would highly recommend the Riad Lila. 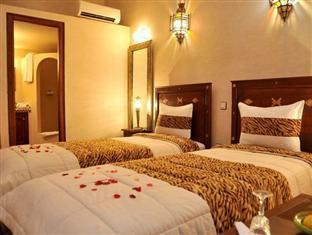 Beautiful riad, friendly helpful staff, good location. Like most riads, tricky to find at first (near soul semmarine) but no trouble once you've got your bearings. Breakfast fairly basic but sufficient, served on roof terrace or inside. 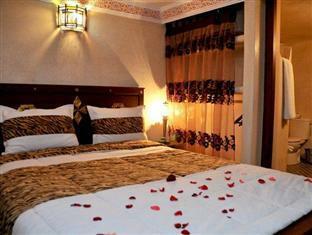 Room was comfortable and clean, and also has use of the outside terrace. There is a very small pool but not heated or jacuzzi and has no seats so not too sure of its purpose. Overall, ideal road that ticked all boxes. It was hard to find the Riad on the first trip into Marrekach. Better to get on s map and get instructions. Everything else was fabulous. Great staff!!! First, the host picks up customers at railway station and returns them on the final day, which is a huge bonus. Truly felt like home. Breakfasts are tremendous and included with the reservation. Beautiful home for photo geeks. Love it. Overall a good stay. Staff is super friendly but you will find some language barriers withoit some knowledge of French but you'll work through it. Really good service! My only complaint is the location. While it is very central, you have to go down a pretty long and deserted alleyway. While I'm sure it's fine, as two women we were a little bit intimidated, especially at night. I recommend having the hotel book your taxi to the airport for 150 dirhams. They driver will come pick you up at the door and take you to the taxi. Me and my friend had a lovely time at Riad Lila. It's a small family run riad and they really helped us out during our stay. Loved the breakfast on the terrace in the morning! The place is impossible to find on your own, so make sure you organize pick up from the airport. Some dodgy guys harassing us in the small alleys around the riad, but it's Marrakech, there's nothing you can do about it. 予約した部屋と違うホテルに移動させられた。ひどい。騙されたという感じ。予約した部屋の方が快適。 They take us to onother hotel which we do not reserve. We feel that we deceived. Of the rooms that we reserved are better than ones which they gave us. They take us to onother hotel which we do not reserve. We feel that we deceived. Of the rooms that we reserved are better than ones which they gave us. I really liked the place. The room was good size with the biggest double bed I have ever seen. The lady that runs the place was really friendly and willing to help us with everything. Totally recommend it! Our stay at the Riad was excellent. We arrived extremely late (3am) and the staff were extremely nice and welcoming. Breakfast was served as soon as we were up in the morning. Very comfortable. Our stay at the Riad was excellent. We arrived extremely late (3am) and the staff were very nice and welcoming. Breakfast was served as soon as we were up in the morning. The room had a king sized bed and enough space to move around. I'd definitely recommend this Riad. I would also recommend booking the airport transfer with them as the Riad is difficult to locate the first time, if you are unfamiliar with the area (as with all of the Riads in the Medina area). Thoroughly enjoyed our stay and there was an amazing view of the sunset from the rooftop.